There are many causes of tinnitus and since there are so many different things that may have caused this issue it is best for you to consult with a doctor to get the best treatment. You can contact us for more details and to book an appointment. Since the list is so varied it is best for you to consult a professional. It never hurts to get a professional’s opinion on the matter. 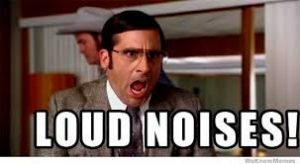 Hearing loss is one of the most common reasons for tinnitus because of the damage loud noises can cause to the nerve endings in the ear. So, it is best to stay away from loud and booming noises. There is a theory that suggests that tinnitus happens because the ear is trying to overcompensate. The ringing in the ears is usually from you losing the ability to hear that pitch. Research is still being conducted on this, but the theory is that the brain is stuck on that high pitch sound. The sound that the patient supposedly has lost the ability to hear outside of themselves. It is also important to note that certain medications have been proven to cause tinnitus. 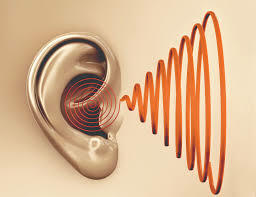 Some people have reported that after they had stopped taking certain medications, the tinnitus disappeared entirely. It is unknown as to how medications can cause this effect but there are a few theories about it. This is not always the case and you should never stop taking your medication without consulting a doctor first. Another thing to keep in mind is earwax buildup in the ear. The wax can build up to be so thick that it not only blocks sound from entering your ear but also can cause the ear to be impacted. The impaction of the ear will put pressure on your nerves and eardrum and cause the ear to try to overcompensate with tinnitus. It is not certain that after you clean your ear your tinnitus will go away, but it may cause the ringing to subside a bit. One of the most common causes of tinnitus is noise exposure. The louder the noise is the greater the damage will be. 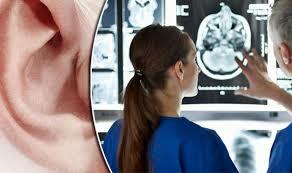 The brain will try to compensate for the damage of the nerves in your ear and that results in tinnitus. It can be distressing if you go to a concert and return home only to realize that the ringing in your ears has increased in intensity. It is best for you to protect your ears when going to loud events whether you have tinnitus or not. Bring earplugs designed to protect the inner ear from sharp sounds. These can be found at CVS or Walgreens. Construction workers wear these to protect themselves from tinnitus and damage to their eardrums. Even though you may not work in construction it would benefit you to wear these to prevent further damage to the inner ear. All in all, these symptoms can be alleviated with help from a professional. Contact us for help with tinnitus today and we will help you to live a more fulfilling and happy life.